See, in the Ultraverse, comics were still fun concepts, in look if not in action. 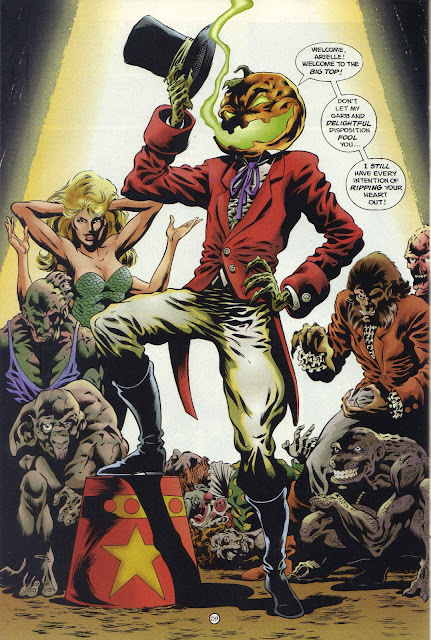 Lord Pumpkin may have had a face that looked like he'd been left in the fridge too long, but what was truly rotten was his soul. 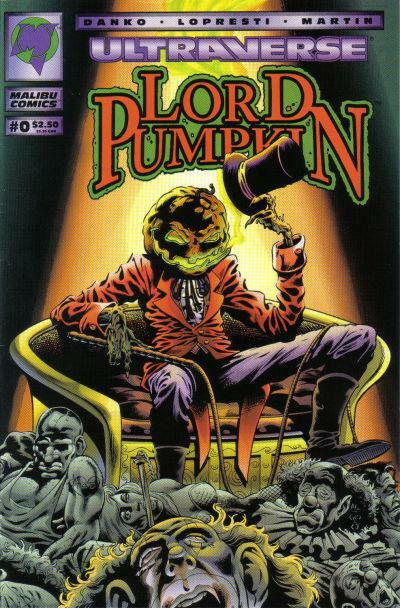 Originally a plaything for a fairly sadistic child prince, Lord Pumpkin took over the kingdom of his tormentor and set his eyes on doing the same to the world Prime and Sludge so valiantly protected (at least until Marvel got a hold of it). What do you think? While L.P. could easily be a candidate for my Least We Forget posts, I think this splashie speaks for itself - as if Aaron does any other kind! For more great splashies click here. Okay. Now for some reason I've got Karn Evil 9 playing through my head. And it won't stop. Thanks Dan. Thanks a lot. Hey helping is what I do Random. Helpin is what I do.